“The ML Series is a four way Multi-loader with all-wheel drive, all-wheel steer and all-wheel brake that is offered in capacities from 6000 to 22,000 lbs. (2722 – 9977 kg) and lift heights from 12 – 24 ft (3.6 – 7.3 m). It undertakes the duties of aisle truck, traditional forklift, and sideloader.” LiftKing ML Series Multi-loader Forklifts are nothing new in the business but because it’s a LiftKing, you can be assured toughness, quality, and dependability in one great package. Equipment features include a hydrostatic drive system, a torsion resistant frame consisting of up to 8 in (203 mm) thick steel plate and a ergonomically designed operator’s compartment. 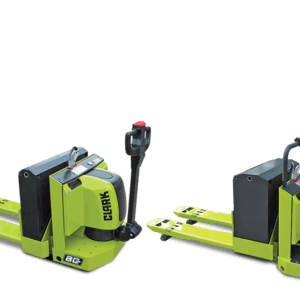 Spreader carriages are offered up to 30 in (762 mm) with outer fixed forks. Guide rollers can be added for specialty applications. The ML Series is ideal for handling long or normal loads that have to go from inside or outside, on to or off of racks and narrow aisles and doorways.